AFTER months of speculation the regulator has moved to shut down an inappropriately cosy referral relationship between Sydney liquidator Adam Farnsworth and Drummoyne-based accountant Frank Bruzzano. In a statement released today the Australian Securities and Investments Commission (ASIC) said it had extracted an enforceable undertaking from Adam Edward Patrick Farnsworth which suspends his liquidator’s registration for six months. Given Farnsworth has not accepted an appointment since April, it effectively benches the Farnsworth Shepard partner for more than a year. The EU follows a review as part of ASIC’s liquidator compliance program which found Farnsworth “had failed to adequately discharge his duties”. This is ASIC speak for the conclusion that Farnsworth had overlooked or failed to notice that getting almost half his fees from one source over a two and half year period might raise doubts about his independence. In the context of the referral relationship, ASIC said that between February 2011 and June 2013, almost half of Farnsworth’s fees came from external administrations referred to him by Bruzzano & Associates or Frank Bruzzano. Further, ASIC said that Farnsworth had failed to advise creditors of one of the administrations it reviewed that the referrer may have received a voidable transaction. There is one exception in the EU, that being the liquidation of Moore Australasia Pty Limited (In Liquidation) which Farnsworth can maintain as long as his partner, Adam Shepard or another registered liquidator comes aboard as a joint appointee. Farnsworth has until February 2016 to make the necessary arrangements in relation to the appointments canvassed in the ASIC review. In its press release ASIC acknowledged Farnsworth’s cooperation, advising that the suspendee had agreed to undertake additional compliance training and had already completed ARITA’s independence training course. 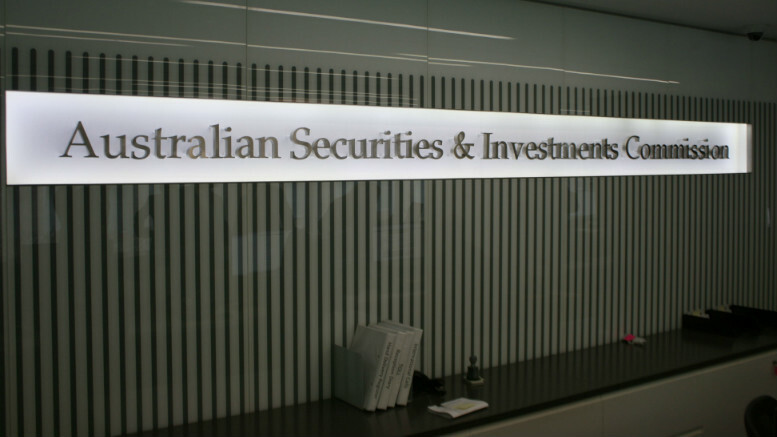 Be the first to comment on "ASIC benches Sydney liquidator"